In 1991 Mt, Pinatubo, Luzon, Philippines erupted with devastating results, in addition to the appalling loss of life the eruption altered the Pacific balance of power and the course of history. The volcano destroyed two critical American military bases, the Clark Air Force Base and the Subic Bay Naval Base, both enormous military arsenals. America withdrew its assets to Alaska and Hawaii and immediately created a military vacuum. Within months of this withdrawal the Chinese Government promulgated a far reaching decree., “The Law on the Territorial Waters and their Contiguous Areas”. From this all else follows. With the rise of China manifested by the Chinese Dream and the One Belt One Road aspiration contemporaneously with the Australian mining boom, it is interesting to dwell on the concepts of Foreign Investment versus Foreign Acquisition as they apply to Australian assets. Australia sees itself as a reliable supplier of minerals and agricultural products; China encourages the acquisition of natural resources to service national growth and its millions of citizens. Australian companies invest for a commercial return; Chinese companies, some with links to Government agencies, are required to supply imports necessary for Chinese growth, profit for the overseas entities is less important. Australia’s capitalist ethos requires returns to shareholders; China’s objective is to sustain growth over generations, profit is secondary. Three year political cycles and associated budgetary gymnastics are viewed with contempt. The Australian government maintains a foreign investment oversight via the Foreign Investment Review Board (FIRB) on media, banking, airlines, airports and telecommunications. In Australia, China is making significant acquisitions in ports, power companies as well as mining and agricultural projects These are also subject to FIRB scrutiny with value or national security implications. China’s acquisition of Darwin port or south east Australian power companies appear to have other objectives than purely commercial. 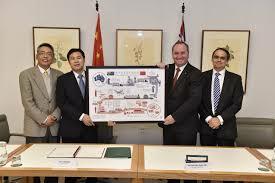 Within informed society, Australia’s relationship with China is an important issue. For China, Australia is only a pawn in a grand expansionist strategy. 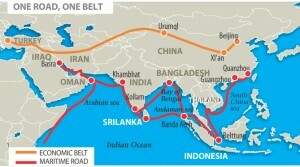 Integral to the Chinese Dream are the commercial imperatives of the One Belt One Road policy. This policy is to revive trade and commerce along the ancient Silk Road linking China to western Europe augmented by the maritime trading routes that linked East Asia, East Africa, the Arab Middle East and thence to Venice. This initiative has been dubbed China’s ‘Marshall Plan’ as it will promote trading links with countries along the transport corridors. This initiative will tend to reduce the importance of the North West Passage as Arctic sea ice retreats. In this grand scheme, Australia appears to be relegated to a ‘colonial ‘ source of minerals and agricultural products specifically for Chinese consumption. It has been noted by Professor Hugh White, Strategic Studies Institute, Australian National University, that the acquisition of Darwin Port by the aptly named Landbridge company, with links to the Chinese government, may be a clue to Chinese ambition for Australia. The urban population of Shanghai is around twenty-two million; Australians must come to terms with the fact that, with a population around twenty-four million, a projection of national influence will be difficult. 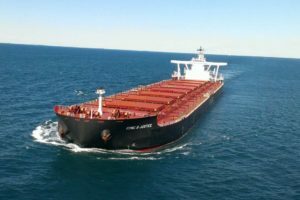 Superficially, the foreign acquisition of iron ore mines in Western Australia appears to be a complex of large and small producers jostling for sales contracts; the reality is more sinister. The big picture reduces to a Chinese determination to break the monopoly held by Rio Tinto, BHP/Billiton and Vale de Rio Doce in Brazil. In 2013-14 Chinese steel mills imported 850 million tonnes of iron ore. Australian production was around 610 mt. increasing supply in an inelastic market, mine revenue will fall but buyers will receive more for less money. upstream investment from unprofitable mine production makes economic sense. This is another form of transfer pricing beloved by multi-national foreign investors. new production onto an oversupplied market is warranted under a Chinese procurement policy, but would not be considered rational by investors not involved into a vertically integrated process. At any time, production from mines can be halted and the plant mothballed or restarted by a Chinese controlled Australian work force. The concern for the Australian Government is the future of infrastructure, population stability and employment continuity if Chinese state funded entities are investing in new production to force down prices rather than develop a profitable mining venture. A conclusion that may be drawn from Chinese acquisition in the Australian iron ore industry, is that economic production in Australia is less important than the ability to source low cost feed stock for Chinese steel mills. This import policy will drive prices down. In the frenetic fish bowl that small Australian mining entrepreneurs inhabit, the public are encouraged to support Initial Public Offerings (IPOs). Subsequent joint ventures with Chinese acquisitors will ultimately drive share prices into the bulldust to ensure low cost mine product. 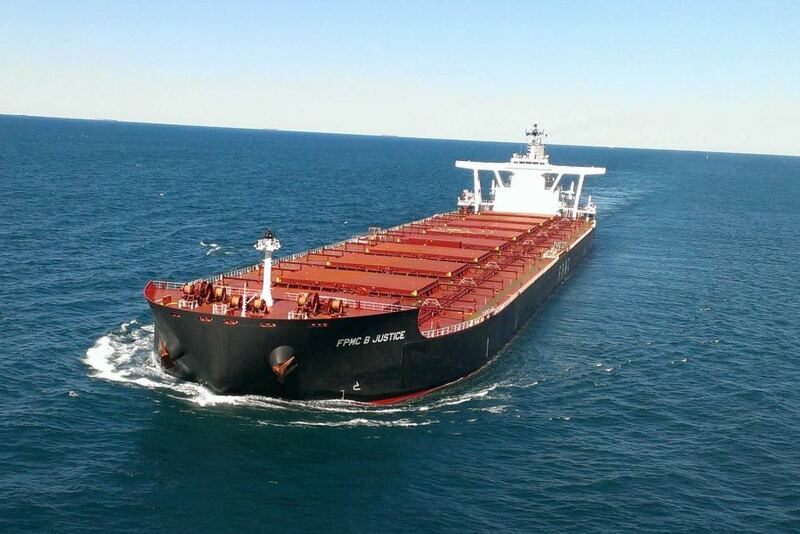 The Pilbara and Hammersley iron ore provinces have competitors overseas. Greenbushes. Talison Resources and Chengdu Tianqi Group. This is the world’s largest high grade spodumene deposit running 61.5 mt at 2.8% lithium oxide. Mt Marion. Reed Industrial Minerals and Jangxi Garfeng. Deposit 14.8 mt at 1.3% lithium oxide. Mt Cattlin. Galaxy Resources, formerly with Jiensu Lithium Carbonate Plant, now with General Mining, Canada, planning to re-enter the Chinese market. Deposit 9.9 mt at 1.1% lithium oxide. Very early in Japanese industrial development, the Japanese government decided to preserve its forests and import timber from overseas. With large reserves of lithium, it appears China has adopted the same policy as the Japanese and is seeking off shore deposits. It is significant that the largest hard rock lithium deposit in the world has slipped from Australian to Chinese control. Foreign investment in the Australian mining industry is necessary., Taxation policy must minimise transfer pricing and market price manipulation. The Chinese imperative for acquisition of Australian agricultural production is driven by a population estimate of 1.4 billion by 2050 which is coinciding with declining soil fertility and increasingly polluted water supplies. A UN report states that by 2050 food supply must increase by 50% and water supply by 30%. To meet this threat, the Chinese government has decreed that three billion dollars must be expended with celerity on overseas agricultural security, (Yahoo 7, June 2015) Target regions for agricultural acquisition and expansion are Africa, South America and Australia. Cubbie Station. Shandong Ruyu. Cotton. $232 million. Van Diemen’s Land. Herman Shao/Ming Hu. Dairy. $200 million. Glenrock Station. Dashang Group. Cattle. $45 million. Cattle Station search. Chongquing. Budget $100 million. Cattle Station search. New Hope Group. Budget $500 million. Fifty dairy farms in Victoria acquired by ?COFCO Group involving 90,000 cows and 500 million litres of milk annually. Sugar and sorghum development in Western Australia by Shanghai Zongfu. $700 million. There are two issues that discomfort the Australian people; first the apparent frequency of acquisitions and second, the opaque nature of the arrangements through the use of shelf companies, trust funds and extended settlements. (Daily Telegraph, February 2014) The FIRB is said to examine all foreign investment proposals exceeding $244 million, however, lower value investments do incur scrutiny. The comment ‘selling off the farm’ raises concern but an Australian Bureau of Statistics table (below) shows there is not yet cause for concern. TABLE Australian Agricultural Land and Agricultural Business Ownership. The acquisition of Australian agricultural assets will continue and an increasing number of Australian managers and labour will have to accept instructions from Chinese owners. It was mooted (ABC RN 9 May) that under the Free Trade Agreement with China, Chinese labour might be permitted to work on agricultural projects. At the end of May, the Bank of China with the Australian Chamber of Commerce hosted a conference principally on the dairy products industry. Over 600 Chinese delegates attended who are aware of the purchasing power of the anticipated three billion Middle Class in East Asia by 2030. (The World Today, ABC, 23 May) It would be naive to anticipate Chinese foreign investment, rather it will be foreign acquisition of Australian agricultural assets as already exemplified in Victoria and Tasmania. It makes commercial sense for foreign investors to acquire virtually a 100% equity and to create a vertically integrated export industry. An extension of the Mercantilist theory! A trend has been established and, if continued, there, will be significant redistribution of Australian assets. The President of the National Farmers Federation recently pithily remarked “foreign investors have spotted an opportunity domestic investors have shunned”. Of deeper impact is Australia’s destiny in the Chinese Dream.